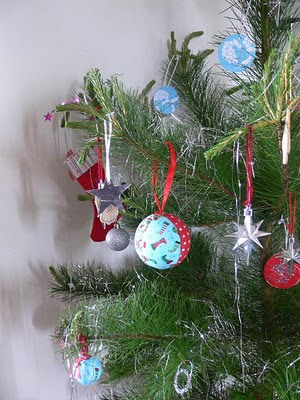 Day 13 :: Decorate the tree!! 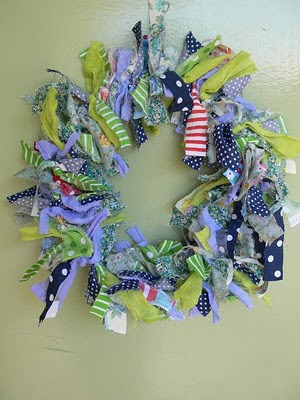 Day 14 :: Make a Christmas wreath. In this house, its tradition to listen to Aretha while making the wreath. Oh yes, cheese-o-rama. 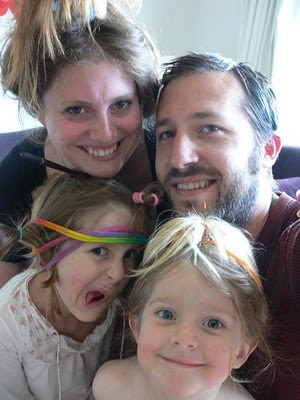 Day 15 :: Wear crazy hairstyles to dinner - also tradition, look goofy in photos. Love the goofy hairstyles and goofy photo! 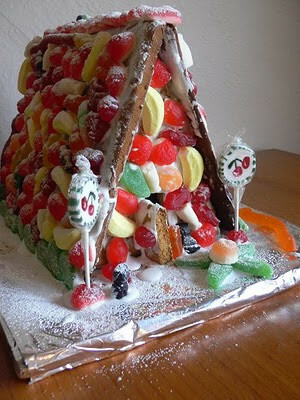 And that gingerbread house looks like it's need some serious structural integrity to hold up all those lollies!! excellent hairstyles! but who is going to eat all that sugar?? ?